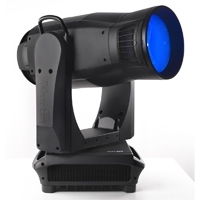 The 1500-watt MAC III AirFX is an extremely bright and highly versatile lighting fixture, a new concept that combines hard-edge, mid-air effects and a beautiful wash field in one luminaire. 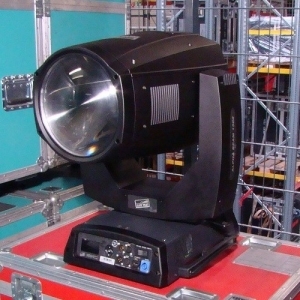 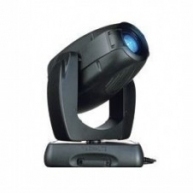 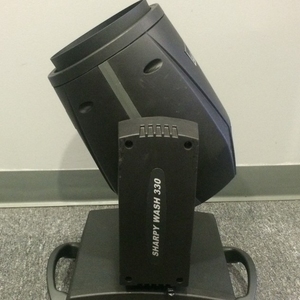 Capable of projecting a dense, hard-edge beam with stunning mid-air aerial effects, the fixtures unique optical system allows it to adjust from a tight beam to a radiant wash instantly for greater design flexibility. 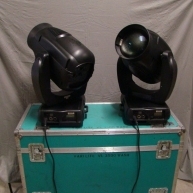 MAC III AirFX - MAC III AirFX in mint condition, previously used on demos.